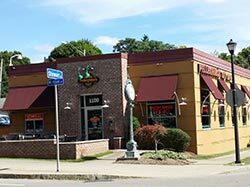 Pellegrino’s Deli Cafe has been serving the Rochester community since 1999 as deli style, family-friendly restaurant offering hot and cold subs, soups, salads, wraps, vegetarian selections and freshly baked bread & cookies. That tradition continues today. Guests tell us that they love the fresh taste of Pellegrino’s food, quick service, great value and our welcoming, friendly, comfortable atmosphere! 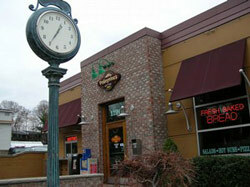 Pellegrino's Deli Cafe offers catering and delivery for meetings, groups, and special events. Whether it's an office party, corporate event, birthday party, sporting event, picnic, or graduation party, let us take care of the food so the only thing you have to do is place the order. Our hassle-free catering has all the ingredients to make your event a success! To help us serve you and your guests better, please provide us with as much notice as possible when placing a catering order. We recommend a minimum of (24) hours in advance. For more information, please view our catering menu for details and pricing. FREE DELIVERY of catering orders is available but some restrictions may apply. Please note that deliveries are scheduled on a first-come, first serve basis. Our soups are made from scratch for that really fresh flavor with no artificial anything! Everything is made to order right in front of you using the freshest ingredients available. We are proud of our staff and management teams and know they work very hard to prepare delicious food and to make your visit enjoyable and to create a fun and wholesome atmosphere, one you’ll feel comfortable bringing your family and friends to seven days a week. Our friendly staff will always be courteous, knowledgeable and accommodating to ensure your dining experience with us is pleasing. 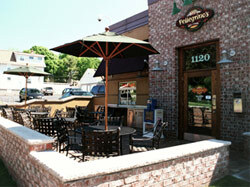 We strive to ensure 100% accuracy with every order prepared for eat-in, take-out, or catering. The secret recipe for our success is simple—Always Fresh, Always Fast, Always Delicious! We promise to never stop trying to bring our guests the best, freshest, real food available at an affordable price. We are quality through and through. From our freshly baked bread, premium cold-cut meats, cheeses and fresh vegetables, we are committed to serving the finest sandwiches and salads possible. If for any reason we do not meet your expectations, let us know and we will gladly do what it takes to make things right. Please know we welcome your feedback, whether positive or negative. We recognize we work within a highly competitive and constantly changing environment. So please tell us if we didn't get it right, but also, if we did!